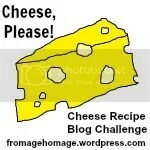 This famous dish and very typical of Italian dish is very easy to prepare. And the final result is always successful . For the sauce: 1 kg of tomato passata, sage , rosemary, 5 tablespoons extra virgin olive oil , 2 cloves of garlic, salt to taste , red chilli pepper if you like , a pinch of sugar. For the meatballs. 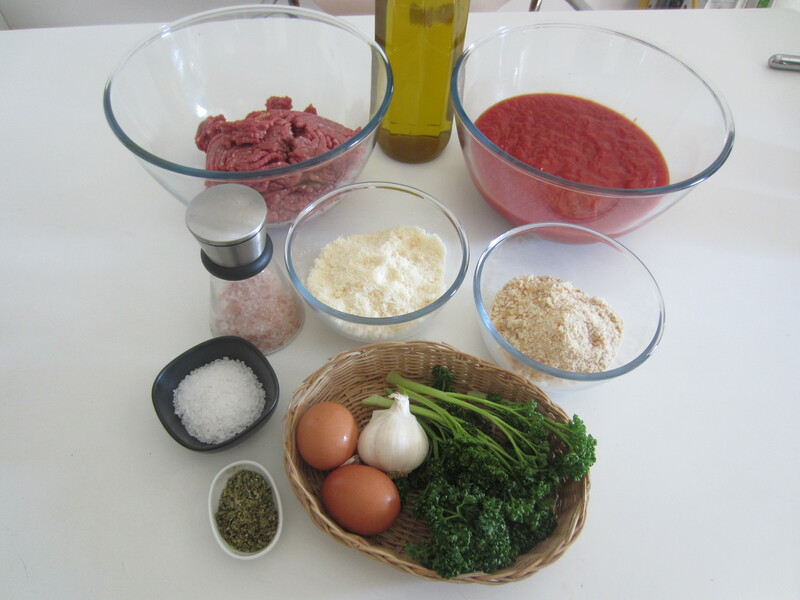 500 grams of minced beef , 120 grams of grated Parmesan cheese , grated 120 grams of bread , 30 grams of fresh parsley , 2 eggs, 3 tablespoons dried oregano , 3/4cucchiai of milk ( if necessary), salt to taste. 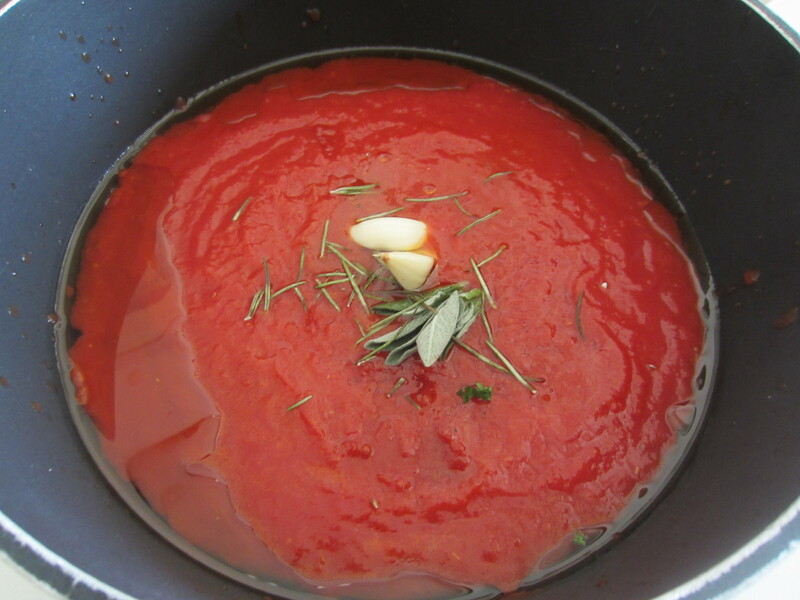 First prepare the base for the sauce by putting 5 tablespoons extra virgin olive oil on the bottom of a nonstick pan, then add the tomato passata, sage, rosemary, garlic cloves, peeled and whole , a pinch of sugar, a little chilli if you like and salt to taste. Now prepare the meatballs : First of all chop the parsley. 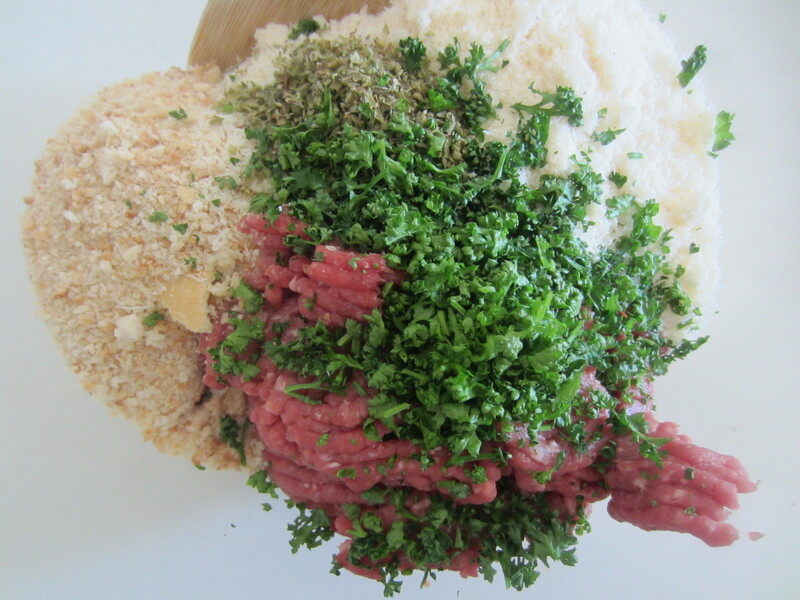 Then in a large bowl add the meat, bread crumbs, grated Parmesan cheese , oregano and parsley. Mix well until dough is smooth. 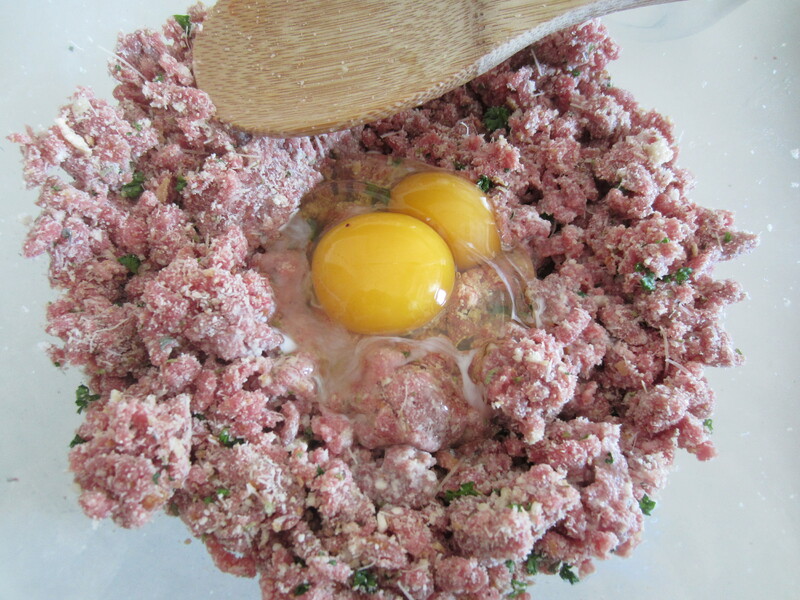 At this point, add the eggs and salt ( be careful because the bread is dry and the Parmesan cheese are already salty ), and work the mixture well , preferably with your hands : the work is important because it assures you that your balls not from splitting in cooking. If the dough is dry, add one at a time tablespoons of milk , and add additional ones that will only serve to possibly soften the dough . Put the pot on the fire and let go of the sauce over low heat. 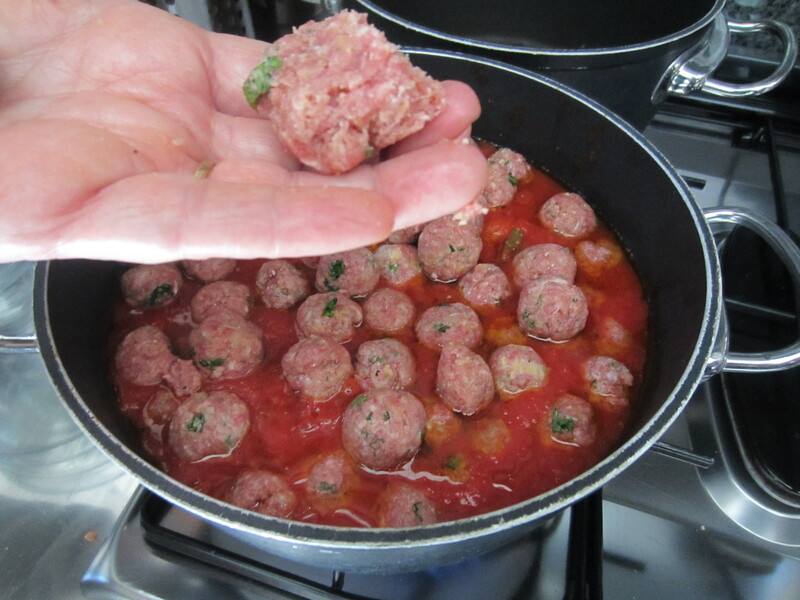 Now make your meatballs with hands make small balls with a diameter of 2 to 3 cm , and dip them in the sauce. This work will occupy for 15 or 20 minutes : Meanwhile, the sauce will begin to heat up. 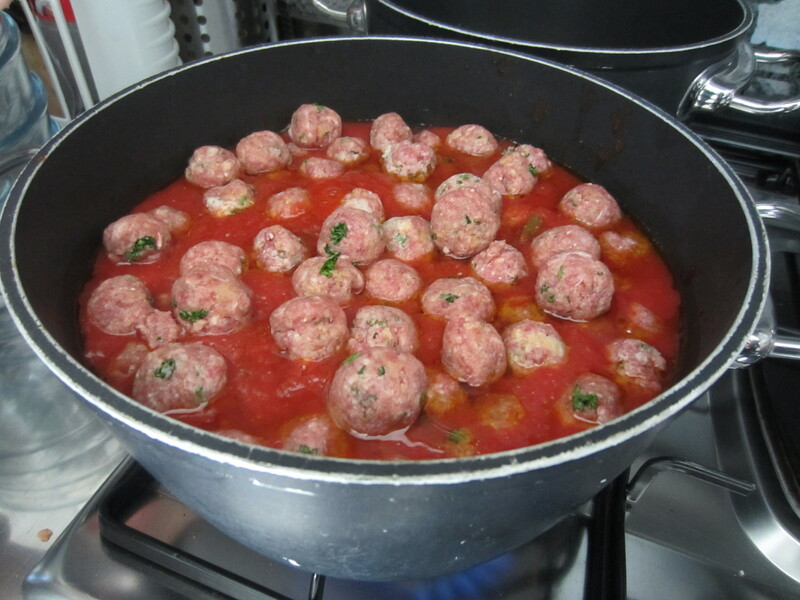 Every now and then mix the sauce and when you have finished making the meatballs put the lid on and simmer over low heat for at least 2 or 3 hours , stirring every now and avoid the preparation of your attacks on the bottom. But this will not happen if you keep on slow fire . 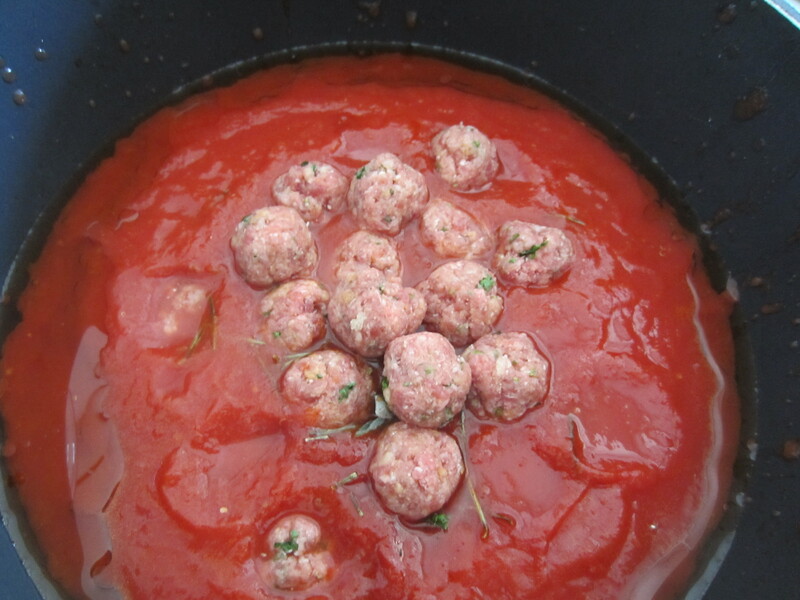 After 3 hours of cooking you will have the delizione meatballs and an even more fantastic sauce that will have collected all the flavors of the meatballs. 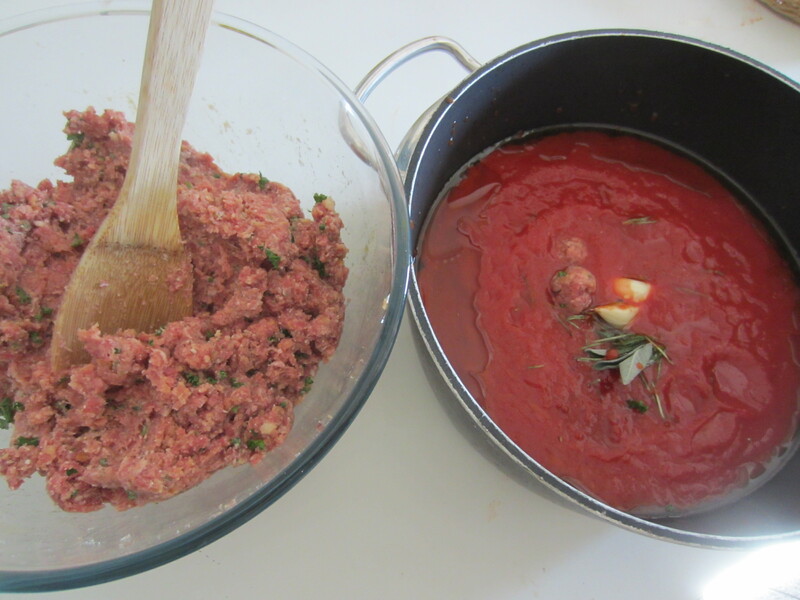 As for all the preparations of this type , the day after the meatballs with the sauce are even more good . 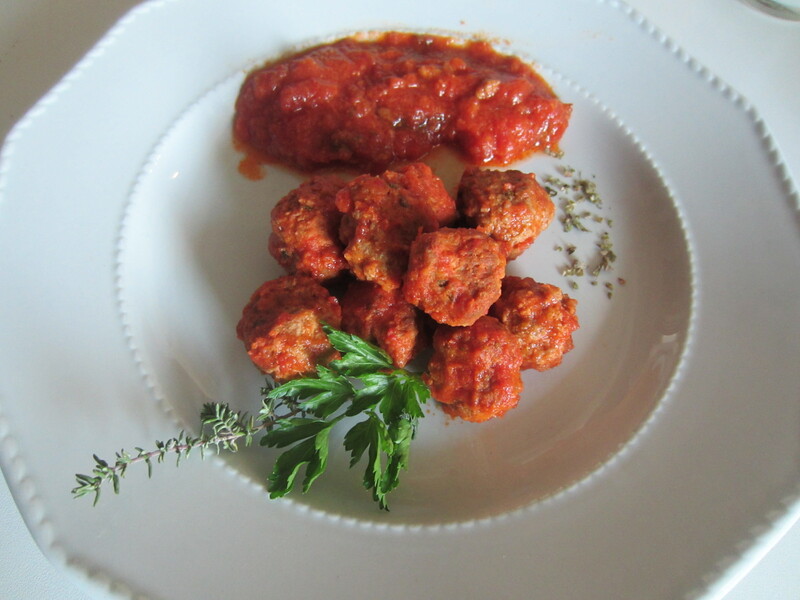 You can serve the sauce with the pasta and follow the meatballs or meatballs and sauce as a main course , or even pasta sauce and meatballs for a fantastic and very Italian dish.